KUALA LUMPUR, April 3, 2018 – Dining out at premium restaurants have never been so affordable! Yes, it’s the TABLEAPPP ELITE new 3-month membership, a premium dining pass which opens the door to a world of free 5-star quality dishes. This new membership will be officially launched today and is priced at only RM99 for a 3-month subscription to over 300 FREE signature dishes at 100 top restaurants in Klang Valley. The 3-month ELITE membership is a new addition to TABLEAPP current 1-year annual membership which was launched last September 2017. If you have always enjoyed premium dishes at top restaurants but don’t want to spend a fortune, then this ELITE membership is for you. For just RM99, ELITE members can get a dining membership that allows them access to a long list of 5-star dishes to be redeemed for free at our partnered restaurants. On top of that, members are also entitled to exclusive access to special dining events, private wine pairing events, wine tasting events, invitation-only dining events, and customised gifts. 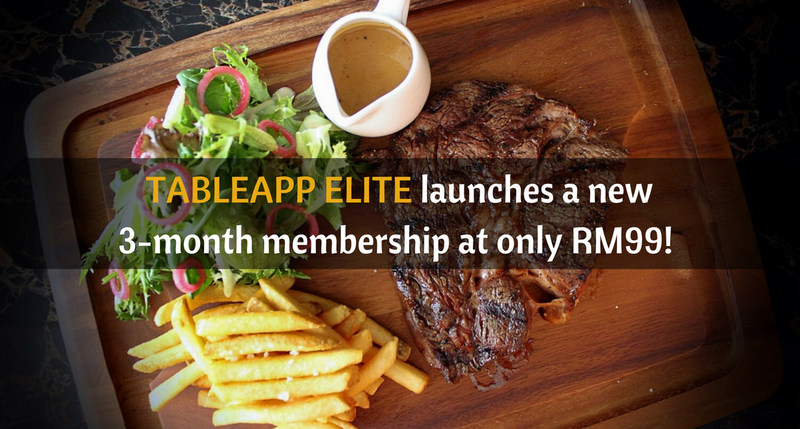 TABLEAPP ELITE members can expect to enjoy the same benefits from this 3-month membership as to the current 1-year membership. 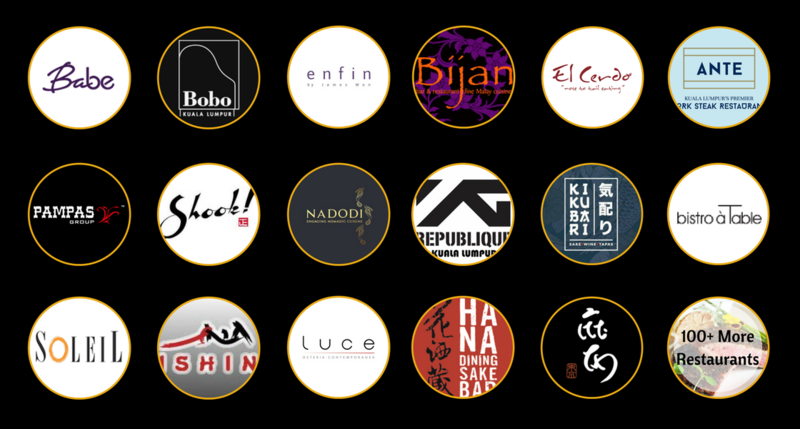 From now onwards, members can dine out more affordably at popular casual dining restaurants like Naughty Nuri’s and ANTE or having luxurious dining experience at award-winning restaurants like enfin by James Won, Babe, Sushi Azabu and Soleil. From now until 31st of May, 100 ELITE Members can get a bottle of customized premium champagne. Speaking of gift, TABLEAPP ELITE members can stand a chance to win their very own limited edition personalize Mini Moët champagne with their favourite photo as the champagne label. From now until 31st May 2018, 100 TABLEAPP ELITE members with the most number of redemptions will be able to customise a bottle of Mini Moët with a picture of their choice which will be delivered to their doorstep in a classy package – easy and fuss-free. Interested members can join this Win-a-Moet contest online and stand a chance to win this Mini Moët, creating the-one-and-only limited version of their own. To experience an elite dining experience, join TABLEAPP ELITE via TABLEAPP mobile app available on App Store and Google Play, or visit www.tableapp.com/elite. The new 3-month membership is priced at only RM99 per membership and can be used instantly to redeem free dishes upon activation.